USCIS delays in adjudicating “stand-alone” Forms I-130, Petitions for Alien Relatives, on behalf of immediate relatives have been widely criticized. Processing times peaked in November 2013. USCIS claimed processing times were about 9 months, but the New York Times claimed they had reached 15 months. In November 2013, USCIS promised “concerted efforts” to bring down processing times. And as of now, USCIS is reporting processing times have been brought back into control. They’re at 5 to 6+ months depending on the USCIS office. That’s approaching USCIS’ 5-month goal. An “immediate relative” (IR) is a U.S. citizen’s spouse, parent, or unmarried child under age 21. A Form I-130 is the citizen’s petition for the relative to qualify for permanent residence, i.e., a green card. If the foreign relative has lawfully entered and is legally present in the U.S., the I-130 may be filed “concurrently” with the relative’s application to adjust to permanent resident status (I-485). But this story is about “stand-alone” I-30s filed on behalf of relatives who are outside the U.S. or otherwise ineligible to adjust status within the U.S. For these relatives, the I-130 is just the first step in the process, followed by immigrant visa processing at the National Visa Center (about 2-3 months) and then a U.S. Embassy or Consulate overseas (about 2-5 months). But a chronology of events shows that the agency has been involved in long-term efforts to centralize processing I-130s, and that these efforts were interrupted–and reversed–when the agency was called on by President Obama in June 2012 to adjudicate a new immigration benefit called Deferred Action for Childhood Arrivals (DACA). Pursuant to a presidential memo, DACA was intended to delay deportation–instead granting work authorization–to certain undocumented young people who were brought to the U.S. as children and have pursued education or military service here. Juggling these priorities was problematic for the bureaucracy, as the New York Times has reported. Aug. 15, 2011: In an effort to centralize I-130 processing, USCIS asked U.S. Consulates and Embassies abroad to stop accepting filings except in emergency situations. Instead, petitioners residing in countries without USCIS offices must now file by mail with the USCIS Chicago Lockbox. Jan. 1, 2012: To further centralize I-130 processing, domestic petitioners must now mail stand-alone I-130s to either the Chicago Lockbox or the Phoenix Lockbox, depending on their residence in the U.S. From there, the I-130s were distributed among USCIS regional service centers. June 15, 2012: President Obama signs a memo creating DACA benefits for for certain undocumented young people. Applications may be filed starting Aug. 15, 2012. That gave USCIS just two months to get the DACA program running. Aug. 15, 2012 (see here and here): USCIS announces it will temporarily reverses its trend of centralizing I-130 processing. California Service Center and Vermont Service Center began shipping stand-alone IR I-130s to the National Benefits Center (NBC). Then NBC transferred them to local field offices with jurisdiction over the petitioner’s place of residence (except that the NBC would adjudicate I-130s for petitioners residing abroad or requesting expedited processing). The temporary shift of stand-alone IR I-130s to local field offices was intended to be temporary to accommodate DACA work at Service Centers until NBC could bring on additional staff, as mentioned in several internal USCIS emails released pursuant ot the Freedom of Information Act. Oct. 1, 2012: USCIS Lockboxes began shipping stand-alone IR I-130s directly to NBC instead of the regional service centers. USCIS is experiencing delays in adjudicating Form I-130, Petition for Alien Relative, filed by U.S. citizens for their qualifying immediate relatives. To facilitate more timely processing, USCIS is transferring immediate relative petitions from the National Benefits Center to the Nebraska, Texas, and California Service Centers. You have received this notice, together with a transfer notice, because your case was transferred to a service center. Please review your transfer notice to determine which service center will be processing your case. If you do not receive a decision or other notice of action from the service center within 60 days, please call Customer Service…. .
Late 2013: NBC Division 8 at Overland Park, Kansas, was to begin to adjudicate stand-alone IR I-130s. But, according to the Times, “although the agency is financed by fees and does not depend on congressional appropriations, no new employees were brought on at that center.” USCIS officials told the times of “unanticipated hiring difficulties” but didn’t elaborate. USCIS tries to complete cases on a “first in, first out” basis, as shown by the “date received” on the I-130 receipt notice. The agency posts estimated processing times broken down by USCIS office on the USCIS webpage. According to the USCIS Ombudsman, the processing time calculation is based on the volume of “active” pending cases as represented by the number of weeks or months of new applications received by USCIS. (Active pending cases are those cases that are available for processing, as opposed to active suspense cases that are waiting for applicants to accomplish a step in the process such as re-taking the naturalization test or responding to a request for evidence.) An example of the process used to calculate processing times is as follows: if the active pending was at 200 cases for the reporting month, and for the past four months applications received were exactly 50 cases each month, the processing time would be calculated as 4 months. Processing times are posted monthly on or about the 15th day of the month. The processing times are calculated from final statistics compiled 45 days prior to their posting. Based upon the methods currently used to collect performance data, USCIS requires 30 days to conduct quality control audits and make needed corrections before final data can be published and processing times calculated. Another 15 days is needed to receive field office and service center concurrence with the processing times calculated and to get them uploaded to the USCIS website. 1. Contact USCIS if Your Case Is Outside Posted Processing Times: An inquiry by a petitioner to USCIS National Customer Service Center will only trigger a follow-up request (called a Service Request Management Tool ticket) by the Center to the responsible USCIS office if “the application has been identified as pending longer than the currently posted processing time for the benefit type being sought.” USCIS’ goal is to respond to such follow-up requests within 15 days. Note that if you have received and responded to a request for evidence (RFE) or a notice of intent to deny (NOID), the National Customer Service Center won’t issue a follow-up request until 60 days past the date USCIS received your response. 2. Process the I-130 Overseas: If the U.S. citizen petitioner resides abroad, it may be possible to process the I-130 at the USCIS overseas field office or, in an emergency, at a local U.S. Embassy or Consulate. (See my articles, Issues for U.S. Expats Filing a Form I-130, Immigrant Petition for Alien Relative and USCIS Beijing Filing Instructions for Form I-130, Petition for Alien Relative). Will some citizens move abroad just to expedite the I-130? 3. Apply for a nonimmigrant visa: Some classifications (e.g., H-1 temporary worker or L-1 intracompany transferee) clearly allow holding “dual intent” (both intent to come to the U.S. temporarily under the terms of the visa and intent to immigrate). For other visa classifications (e.g., B1/B2 visitor for business or pleasure or F-1 student), it’s easier for a U.S. Embassy or Consulate abroad to deny the visa or for the U.S. Customs and Border Protection (CBP) to refuse admission due to “immigrant intent.” For more on this topic, see Proving Nonimmigrant Intent for a U.S. Visa. (This article also discusses the effect on a permanent residence application of having made a misrepresentation in a visa application or at a port of entry regarding one’s intentions to stay in the U.S.–for example, a person who enters with a B1/B2 (visitor for business or pleasure) visa or under the Visa Waiver Program, saying, “I’m just going to the U.S. for a two-week vacation,” but who intends to file a Form I-485, Application to Adjust Status, to get a green card. 5. File a K-1 fiance(e) petition or K-3 spouse petition. The K-1 is for a person engaged to a U.S. citizen intending to marry within 90 days of entering the U.S. The K-3 is for the spouse of a U.S. citizen who has filed an I-130 and who seeks to enter the U.S. to await approval of the petition and subsequent lawful permanent resident status. Both K-1s and K-3 allow for accompanying children. Reported processing times for K-1 and K-3 petitions are typically about 5 months. For more, see Choosing the Best Visa Strategy for a Fiancée or Spouse: K-1, K-3, or Immigrant Visa? 6. Humanitarian Parole: USCIS grants humanitarian parole sparingly to bring someone who is otherwise inadmissible into the United States for a temporary period of time due to a compelling emergency–specifically, for urgent humanitarian reasons or if there is a significant public benefit. Discuss this option with your immigration lawyer. Delays played “havoc with international moves and children’s schools and keeping families apart,” as the Times reports. Although processing times are improving, spouses and other immediate relatives separated or stuck abroad due to processing delays are unlikely to be satisfied until USCIS reaches its five-month processing goal. Also, stakeholders deserve an explanation from the agency as to why the delays spiraled and what USCIS is doing to avoid similar problems in the future. The current Visa Bulletin shows that immigrant visa numbers are available in the F2A (spouse of permanent resident) for I-130s filed in Sept. 2013. What’s the difference between the Visa Bulletin waiting list and the USCIS processing times discussed in your article? The Visa Bulletin tracks availability of immigrant visas in categories for which there are annual numerical limitations (quotas) set by Congress, including for example the F2A category for spouses and minor children of permanent residents. Since there are annual quotas, waiting lists develop, and those are tracked on the Visa Bulletin. For more, see How to Read the State Department Visa Bulletin. Immediate relatives of U.S. citizens are not subject to annual numerical limitations, so there are no waiting lists, and they are not tracked on the Visa Bulletin. The focus of my above article is that USCIS is processing Forms I-130, Petitions for Alien Relatives, on behalf of immediate relatives too slowly. Congress has made these cases a priority, and USCIS itself has set a 5-month processing goal. These cases shouldn’t take longer to be adjudicated. If you haven’t already, PLEASE PLEASE sign this petition to decrease the wait time for I130. We are currently in need of 311 more signatures! Thanks, Sarah, for doing this! I think more importantly, why can’t USCIS come up with more of an explanation other than “there is a huge backlog”? Yes, obviously there is a backlog, but I want a reason for how they got so backlogged to begin with. Why isn’t this agency being held accountable for their gross negligence? I might be able to accept the processing time if there was a legitimate explanation. But their current excuse just sounds like “we don’t know what we’re doing” to me. More specifically, they are taking resources away from I-130s and devoting them to those cases. Bob: You seem to be right that USCIS has re-designed its process flow as a result of the DACA caseload. (See below comments). Whatever the reason, this backlog is huge and ridiculous. I’m currently at 7 1/2 months on my I130 IR petition for my husband, and the last time I called USCIS (1 week ago) I was told that they were currently processing petitions from October 1, 2012. Which is amazing to me because when I filed on March 20, 2013, the date they said they were processing was October 22, 2012. They absolutely refused to submit a service request for me because they said I was within “normal processing times.” Two years is a ridiculous amount of time to tell people to wait to see their spouse. I agree with you that the current processing times for I-130s on behalf of immediate relatives are unreasonable. I just wanted to mention that the USCIS operator isn’t allowed to submit a service request about case timing for a case that is listed by USCIS processing times charts as within normal processing times. Other avenues of advocacy may be more fruitful. I appreciate your input. Which other “more fruitful avenues” might you suggest? Thank you in advance! (f) “We the People” petitions to the White House (https://petitions.whitehouse.gov/). Actually, there are several of those avenues I’ve already attempted, or are currently working on. Honestly, I want them to fix this so that it’s not a problem for people in the future. If we’re all supposed to be a priority, and be processed within 5 months, then they need to make sure that we’re not being pushed to the back of the line because they have some new flavor of the month. Resources were diverted from I-130 immediate relative adjudication when service centers began dumping pending cases on local offices beginning September 2012. Completions have fallen from 55,175 completions a month in August 2012 to 29,089 a month August 2013. Each month USCIS has failed to adjudicate at least as many cases as they received. That hiring process, factoring training and preparation of the office, has exceeded a fiscal year. Abysmal I-130 performance data posted on USCIS shows the NBC completed 2,755 of 254,890 received I-130 Immediate Relative petitions and had 523,874 cases pending as of March 31, 2013. When the next performance report is released we can expect even more dismal completion rates as it is evident the National Benefits Center has done nothing but hold I-130 petitions while field offices try to clear the petitions that were dumped on them. Now that DACA processing has tailed off, USCIS has diverted I-130 petitions back to the service centers. Christopher: Thanks much for pointing out the FOIA release. Judicial Watch wasn’t fishing for I-130 processing info, but what they found was helpful for understanding USCIS’ decision making process. With USCIS taking a year to adjudicate some I-130s, how long are K-3 petitions taking? USCIS’ goal is to process both I-130s and K-3 petitions within 5 months. As the above liaison meeting notes show, in April 2013 they were meeting their goals for both types of petition and, therefore, adjudicating petitioners’ I-130s and K-3 petitions at the same type. However, now, K-3 petitions are still being adjudicated within 5 months, while stand-alone IR I-130s are taking longer. In other words, USCIS is adjudicating petitioners’ K-3s before their I-130s. That’s why filing a K-3 petition may now be a viable option, although it didn’t seem to serve any purpose back at the time of the April 2013 liaison meeting. You can file an I-130 and I-129F (i.e., K-3 petition) regardless of where you and your husband are physically located. You also have the option of filing now, even if your husband will need to return to Australia for a temporary period after getting his green card to finish his job before he relocates permanently to the U.S.
Once you file and I-130 for your husband, that may be taken by U.S. Customs and Border Protection (CBP) as evidence of his immigrant intent and therefore a basis to deny his admission as a B1 or B2 visitor under the visa waiver program (VWP). There is some guidance from the government that “dual intent” is allowed–i.e., it’s OK that he intends to immigrate eventually, so long as on any particular trip where he enters as a B1 or B2 visitor he intends to stay just temporarily. Most people feel like if they have good evidence that of a job and home abroad that they haven’t given up, then their chances of being admitted under the VWP are pretty good. For more, see Proving Nonimmigrant Intent. I filed the i130 in March 2013 for my husband. After almost 8 months wait I received a letter this week stating that my application has been transferred to California Service Center for faster processing. Does that mean they have not yet touched my file, and it will start processing from California Center? Which has a processing time of another 13 months? Please let me know if you can help with my question. Thank you. This is an important factor to consider with Immigration Reform. There is no timeline for when a new bill will be passed, but once it is, the administrative tasks involved need to be discussed as a part of the solution. We can’t repeat the mess we are in now involving health care. My daughter and her Rwandan husband filed an I-130 application a month ago. It was immediately transferred from Chicago to the Nebraska Service Center. The report above shows that there are 23 cases pending in the NSC – can you tell me if this is a good thing? Based on the latest processing times from USCIS, shown above, having the case adjudicated at NSC isn’t good or bad as compared to another service center. Processing times are roughly equal. Good job to all those who put on the pressure! I just went to the USCIS website and see that the new reported processing time for I-130 is 7.4 months… Which is much better then the previous 13 month or more. Wondering what to do now, since based on the processing times last week, I filed a I-129F. It seems the I-130 (with reports of soon being 5 months) would now be the shorter process, rather than the I-129F and then an I-485 (combined 10 months). Is there a way to stop my I-129F? If I stop the I-129F does it send us to the back of the line on our I-130 application or do we retain our original filing date? A significant step forward, it may be. But too little, too late. They created this situation by not adjudicating I130’s for months at a time, and moving their adjudicators to deal with the DACA petitions. They could have taken some people from different immigrant classes to minimize the impact to any one immigrant type. They could have made a press release so that people would have known this was going to be an issue and made alternate plans, or delayed their plans to move to the US. They could have revived the K3. They could have told the petitioners the truth at any time in the past 7+ months, but they haven’t. They flat out lied and denied that there was a problem during the AILA conference in the spring, and at every time since then, during every interaction with the public. They even tried to tell us that their projected 16.6 month processing time (the longest processing time shown in the past 6 months) was normal, just because they said it was, despite the fact that their targeted processing time is 5 months. This behavior on their part is entirely unacceptable. And we should not have to stage an email/fax campaign before we get a response to very basic questions. There is no recourse in the system right now that they have not moved to counter-act. They have basically unlimited power when it comes to these petitions, and the future of our lives with our relatives is in their hands. And instead of being responsible with that power, they have abused it to the detriment of hundreds of thousands of US citizens, and their foreign family members. If they can not act responsibly, then they should not have that power. Whomever made the decisions that caused these problems should be sanctioned, and fired. The USCIS received the I-130 I filed for my spouse in April 2013. It has already been almost 8 months. I recently got a letter saying that my case was transferred to the Nebraska Service Center. Does that mean it will take another 8 months? Is there a way it can be quicker since I am pregnant and it would be sad if my spouse is not here soon? According to the USCIS email to stakeholders, the I-130 transfer to regional service centers will not increase processing time. In the meantime, you may want to consider having your spouse apply for a visitor’s visa to be with you during your pregnancy. The key would be proving dual intent. See Proving Nonimmigrant Intent for a U.S. Nonimmigrant Visa. I’m a US citizen and I have filed I-130 for my husband on August 28, 2012. It has been 15 months and my case status is still on initial Review. I called USCIS office about 5 times and also went to one of their local office with info pass and no one could answer me why still pending. What else can i do? If a person in this situation came to our office, the first thing we would do would be to thoroughly review the case to determine whether there may be a problem with eligibility, or with the information or evidence filed in support of the petition. The problem may just be that your case has been neglected so nobody is working on adjudicating it, but there could be a host of other potential issues. Since your case is outside normal processing times, the USCIS National Customer Service Center should be willing to report this to the office handling your case and give you a time frame to expect a response. In addition or in the alternative, each USCIS office has at least one mechanism for dealing with problem cases. We would try to identify precisely what the problem is and to resolve the problem through that mechanism. Assuming that’s unsuccessful, and depending on what the problem is and what the solution is, we might then follow up with the USCIS Ombudsman, USCIS headquarters in DC, congressional pressure, media pressure, and/or a law suit. I’m sorry that’s a very general answer, but you can see that the solution depends on the nature of the problem. I want to offer you a sincere thanks for your efforts in responding to our questions. Because of your amazing help online, if I end up needing legal services in our process, I will absolutely use you; and I have already been referring people to you via this website. Have a great night and keep informing the masses! I filed a standalone I-130 without knowing that processing would take so long. I am currently in the US on a work visa, and my status is valid through the the middle of next year. If I had filed the I-130 concurrently with a I-485 (which I am eligible to do), would I have avoided this problem and had my application processed more quickly? If so, is there any way for me to now file concurrently? John: The instructions for Form I-485, at p.4, state that you need to file either with the approval notice for an I-130 or file it currently with a completed I-130. It’s possible to do the latter–file the I-485 with a new I-130. Frankly, I haven’t researched whether it’s permissible to file the I-485 with your I-130 receipt notice and ask USCIS to adjudicate the two together. I would like that you help me on this question; my IR I-130 priority date is February 2012, which is beyond normal processing time. I have not yet received a decision from USCIS. After several calls and request inquiries, they always answer that my case was delayed and that they cannot move forward my case untill the background check beem accomplished. So, Gary can you please tell me what is really happening in this case? Have you ever heard of a similar problem? And what can I do? (I already did write to my congresswoman, and she asked me to recontact her in 2 months.) Thank you. Ifi: See my above discussion with Seble for some ideas. You think 13 months is a long time? Try 19 months. That’s the time we have been waiting for my son’s I-130 to process. Just on the “Initial Review” they took about 14 months not to give me an answer, but to request even more evidence they could have asked for month 1 or even week one after they received the request. They have moved our application everywhere; It was at Vermont center at first, then they moved it to California and from there they sent it to Texas (Which for some reason they called it our local USCIS center, even though we’re not anywhere near Texas). Senator Grassley and Congressman Smith were prescient in their August 7, 2012 letter to former DHS Secretary Napolitano when they voiced their concerns about DACA implementation. In that letter they compared the cost of adjudicating I-687 Special Agricultural Workers amnesty ($1130) to DACA ($460) and asked who will pay the costs of I-821D (DACA Application). It is evident that USCIS uses the fees of other petitions like I-130 to cover the costs of DACA adjudication. You could say I-130 petitioners pay twice: first through an expensive processing fee and second through incalculable wait times. If USCIS was charging everyone enough, we’d have seen more hiring at service centers and there would be no backlog. How can these policy decisions by USCIS not violate Anti-Deficiency laws? Another way to read the evidence may simply be that USCIS tried to accomplish both I-130 adjudications and DACA adjudications–not to mention a multitude of other tasks–but failed to do so efficiently. My point is that Smith and Grassley may well have an agenda behind their accusation that USCIS is favoring DACA applicants over legal immigrants. That agenda may well be that they oppose DACA’s goal of regularizing the status of undocumented immigrants brought into the country as children. Taking the side of legal immigrants may be a mere rhetorical flourish. Further, the Smith-Grassley letter may be an attempt to divide and conquer–to achieve their political aims by setting one group of immigrants against another. This rubs me the wrong way. I’m disappointed by I-130 delays, but USCIS should be able to walk and chew gum at the same time, i.e. perform all key functions mandated by the Congress and President. I entirely agree with you. However, it appears that they decided against doing that. The numbers we’ve been seeing from the past year seem to indicate that they did not process *ANY* stand-alone I130’s unless they were an expedite for months on end. Pure insanity. Thank you for this post seems to be some really good info. I am getting ready to mail my I-130, I have been told that the I-130 was just as quick as the K-3 and that the K-3 is no longer obsolete, after reading this article it seems that the K-3 is back up and running and may be the better option? Meghan: Only time will tell if the K-3 is a worthwhile option. There is no fee for petitions for K-3 status based on an immigrant petition filed by the same U.S. citizen. What’s holding you back? I thought that the I-129F was for fiancées. We are already married … am I still able to apply? Do I file it concurrently with my I-130 petition? I filed an I 130 and got a notice date of may 02 2013. I have not heard anything till today that it was transferred to a local uscis office. I guess my question is are other ppl waiting as long as me? Is there any hope? My hubby does live here but limited on things he can do. I’m pregnant and really sick. Just to have him to drive would be a dream! (a) Are you a U.S. citizen? (b) Did your husband enter the U.S. legally, and if yes, with what visa or status? (c) if the answers to (a) and (b) are “yes,” what is the reason that he doesn’t qualify to apply for (or doesn’t prefer to apply for) adjustment of status? My Form I-130 file has been sent to Overland Park, Kansas. Are they processing I-130 files? Mary: As mentioned above, USCIS announced that in late 2013 the National Benefits Center (NBC) Division 8 at Overland Park, KS, will begin to adjudicate stand-alone IR I-130s. I filed a Form I-130 for my wife 2 years ago when I was a permanent resident. Now, while still waiting for my wife to immigrate, I naturalized as a U.S. citizen. Also, my wife gave birth to our daughter. The National Visa Center said that I need to file a separate I-130 for my daughter. I filed this on June 4 2013. Anything I can do to help my daughter immigrate faster? If you were already a U.S. citizen when your daughter was born abroad, your daughter may have acquired citizenship automatically. See here: https://lawandborder.com/new-publication-guide-acquisition-u-s-citizenship-birth-abroad/. If you were still a permanent resident when your daughter was born abroad, then you’ll need to go through the I-130 and immigrant visa application process unless your wife (with your child) qualifies for a nonimmigrant visa to come to the U.S. earlier. I am a US citizen and my husband entered the US illegally. I submitted the I-130, and have an application date of 7-11-2013. I checked my case online and the case is still in the initial review. Is there any documents I can send to expedite his case or do we just wait and see what they will ask for us to submit? If your husband entered the U.S. illegally, you may have more important challenges to consider than the I-130 timing. How does he plan to be eligible to file the Form I-485, Application to Adjust Status, if applicable? Or, if he’s planning to depart the U.S. to apply for an immigrant visa, will he be subject to the 3 or 10 year bar (or the permanent bar) on returning? Has he filed an application for a provisional unlawful presence waiver? Hi Gary: first would like to thank you for all the information you have provided. It’s God sent! Second would like to ask you I filed I-130 application for my husband who is currently in the Dominican Republic, I’m a US Citizen. Our priority date is July 17 2013. So far have not heard from uscis aside from initial letter. How much longer it’s going to be to get approval? Would it help if I also file k-3 application? We are pretty desperate to be together and start a family so to wait much longer to be together would be torturous. Thank you in advance. As mentioned above, you can processing times are about 9 months, although USCIS says they’re trying to reduce them. If you filed in July, and if nothing changes, the next news you’ll get from USCIS is the decision (hopefully the approval) on the I-130 in about Apr. 2014. At that point, an applicant abroad would typically (but not always) apply for an immigrant visa at a U.S. Embassy or Consulate. Hi Gary: thanks for your feedback, would you recommend that I fill out a k-3 visa application for my husband to shorten the wait time? thank you once again. Jenn: You may get the I-130 approval in April. 2014 (3 months from now), but the K-3 petition would take 5 months to adjudicate. So, the K-3 wouldn’t help except in the hopefully unlikely circumstance that your I-130 is delayed due to a request for evidence (RFE) or notice of intent to deny (NOID). Any RFE or NOID would likely–but not for sure–also delay the K-3. In sum, there it’s unlikely that the K-3 would be of any use to you now, but the expense to you of filing is minimal. So if you’d like to take a conservative approach (a “belt and suspenders” approach), go ahead and file the K-3. We filed the I-130 in early April followed immediately by the K3. It’s been almost 10 months. Both petitions have been transferred to Texas where they now sit. Will they ever process the K3? At this rate it will be close to 2 years before I get my Green Card. I miss my children and husband. It’s ridiculous. If your case is 30 days beyond normal processing times and USCIS has provided no update within 60 days, it may be appropriate to make an inquiry to the USCIS customer service center or an online inquiry at https://egov.uscis.gov/e-request/displayONPTForm.do?sroPageType=onpt. If that doesn’t resolve the issue, it may be appropriate to escalate the inquiry. I’m a US citizen currently living in Israel and would like to submit I-130 for my husband. What is the average time frame for the entire process (from filing the request to receiving the visa)? Can I file a request for a temporary visa to allow him to legally work in the US while waiting for the I-130? Since you currently live abroad in Israel, you should know that USCIS has no office there, but in an emergency, you can ask a local U.S. Embassy or Consulate for permission to file there. See this article: https://lawandborder.com/issues-for-u-s-citizens-expats-in-filing-the-form-i-130-immigrant-petition-for-alien-relative/. Assuming there’s no emergency, as mentioned above, after the 5-9 months I-130 processing you’ll need to wait the 4-8 months for immigrant visa processing. As to whether it’s possible to come to the U.S. temporarily while that process is going on, the key issue is proving nonimmigrant. See this article: https://lawandborder.com/proving-nonimmigrant-intent/. Why they only have 4 offices to process this kind if volume applicants? The process is so slow. And why can’t we send in all our other paper work, such as the as affidavit of support, when we submitt I 130? Wouldn’t this save time? I wouldn’t mind paying a higher fee to expedite the process. The government can do better. It’s very tough to stay positive, and keep in balance while you are FAR away from your loved ones. Hi Gary: Thanks for the for all the information you have provided on your blog. In May 2013, I filed Forms I-130 for my parents, who are currently in in Lebanon. I’m a US citizen. I received the first notice of action (NOA1). So far I have not heard from USCIS. When in your opinion I should get NOA2. I’ve gotten this question a lot. The current average processing time, as mentioned above, is 9 months. So you get the first USCIS notice (a receipt notice) right after filing. And you get the second USCIS notice (hopefully an approval notice, as opposed to a request for evidence, notice of intent to deny, or denial) at the end of that average processing time, i.e., 9 months after you filed. That’s it for the I-130. Of course, afterwards the applicant will need to apply for an immigrant visa at a U.S. embassy or consulate abroad, or apply to USCIS for adjustment of status if they are in the U.S. and meet the eligibility requirements. Hi. So grateful that I have found your website. Does it make a difference which state you filed from? I am a US citizen. I filed I-130s for my parents in June 2013 from NYC and didn’t get a response yet other than NOA1. Also, my parents were issued B2 visas in 2011. Can they visit me here or not? As you can see from Table 1 above, processing times are roughly equal regardless of which state you live in and which of the listed USCIS offices your case is pending at. As to whether an individual with a pending I-130 will be issued a B2 (visitor for pleasure) visa or admitted to the U.S. by CBP if they hold such a visa, see “strategies to consider” #2 above, which links to our article about proving nonimmigrant intent. I am a U.S. Citizen. I filed form I-130 IR for my step daughter in September. Is there anything that can be done to expedite the process if safety in her country is a concern? Thank you so much for your insight! I too must thank you for all the great information and advice found on this site. I filed I130s for my wife and now 6-year old stepson back on June 22, 2013 and have received a receipt. My question is: Does having a child in the equation affect or change the processing time at all, or are the processing times the same? Nedders: I-130s for “immediate relatives”–including a U.S. citizen’s parents, unmarried children under age 21, and spouse–are grouped together in the processing cue. Hi Gary: How long would NVC usually take to process after USCIS? What documents do they ask for? Thanks. You can count on National Visa Center processing taking about 2-3 months. The required documents are listed on their website: http://travel.state.gov/visa/visa_4354.html. Thank you so much for all of this information! I’m just trying to make this clear. Once the USCIS approves the I-130s for your spouse and child, do they go to the National Visa Center? Or does they go right to the Embassy overseas? I filed for my wife and child back in June 2013 when I was stationed in Japan with the U.S. Armed Forces. I appreciate the help and information you are giving us all. Thank you very much! Bill: If you are a U.S. citizen serving in the U.S. military, it is sometimes possible to file the I-130 for an immediate relative at a USCIS office overseas or at a U.S. Consulate. In such cases, the I-130 is not forwarded to the National Visa Center (NVC) but instead directly to the U.S. Consulate where your immediate relative will apply for an immigrant visa. Assuming, however, that you filed your I-130s by mail with a USCIS lockbox, then the cases will be processed through the NVC. Citizens of the United States, who are serving in the military and have a pending Petition for Alien Relative (Form I-130) on behalf of their spouse, may e-mail or telephone the USCIS military assistance team and ask for expedited processing of that petition. During that time, your spouse may enter the United States on a K-3 nonimmigrant visa. To get a K-3 visa, you must file a Petition for Alien Fiancé(é) (Form I-129F) on behalf of your spouse. An approved Form I-129F will allow your spouse to enter the United States. If USCIS approves the I-130 petition while your spouse is in the United States on a K-3 visa, she/he can file an Application to Register Permanent Residence or Adjust Status (Form I-485) to become a legal permanent resident. For more “Frequently Asked Questions for Members of the U.S. Armed Forces and Their Families,” including contact info for the USCIS military assistance team, see http://www.uscis.gov/archive/archive-news/frequently-asked-questions-immigration-information-members-us-armed-forces-and-their-families. Finally, the American Immigration Lawyers Association (AILA) has a Military Assistance Program (MAP) that provides free legal help to active duty military. Details are at: http://www.aila.org/content/default.aspx?docid=24108. And the over-all trend and volume charts nationally and for the individual service centers are paltry. If I understand the timing of this information correctly, this was the information from the time that they sent out their Stakeholder letter, stating they were working diligently to clear the backlog. I think that the numbers that they just released speak for themselves. I should also note that they have not updated their processing times yet. Usually, when they update their volume and trend charts, they update their processing times at the same time. We will see if that happens in the next few days, or if they decide that we can sit in limbo as far as processing times go for another month. Processing Times updated: Changed from Feb. 12, 2013 to Feb. 13, 2013. I noticed that the USCIS has updated their website today. But the date only changed one day. How accurate is this? I also spoke to an Immigration Officer last week and had told me that the Nebraska Service Center was recently working on the I-130s of the lasts of Feb. And I just called in today and they told me the opposite. What can I believe? Why are all the USCIS offices working on the same date if they were sent to different locations to speed up the process? Because it’s false data. The people on the phone give you a different answer each time because they want to get you off the phone. I’m not being nasty or cynical here. I’ve been calling for months, and I have yet to get two of the same answers from two different officers. Yes, even if I’m talking to Tier 2’s. Tier 1’s don’t know any more than I do about my case anyway. All of the service centers have the same data, because they’re manipulating the dates to avoid having to deal with the service requests they would most certainly get, because they are taking too long to adjudicate the petitions. Funny thing, that, it also takes away our ability to engage our congressional representatives in any real manner, and takes away the ombudsman’s ability to intervene in our cases. I am an Iraqi married to us citizen and we both live in Iraq and we have two children form i130 was filed in sept 2013,I am a doctor and I am running out of time because as time goes chances of being accepted in a us residency program become smaller,I have an exam that I should take in the us in the few upcoming month,do I have a chance to have a B1 visa if I explained the necessity of the exam to my career? See Proving Nonimmigrant Intent for a U.S. Visa. I have already filed a standalone I-130 for my wife with the Chicago Lockbox. Now my case has been transferred to National Benefit Center to process. Average waiting time is 10 months. I found out just recently that I could have filed with the Guangzhou USCIS office. I met all the requirements and it only takes one or two months to process my case. My question is how can I re-file with the Guangzhou office without paying the $420 again or without creating a duplicated case? Should I contact the NBC to ask them to transfer my case to the Guangzhou field office? If you, the petitioner, meet the definition of “residing” within USCIS Guangzhou’s jurisdiction, it is permitted to file a second I-130 there. (See my article, Issues for U.S. Expats Filing a Form I-130, Immigrant Petition for Alien Relative). A new fee would be required. Attempts to transfer your pending I-130 to Guangzhou may not be efficient in terms of time or money. Speak with your immigration attorney. I live in Portland, OR and am an USC. I got text messages stating my petitions for my wife and mother have been transferred to my local office. Does this mean that local office’s processing times are faster than in the service center? Lax: As mentioned above, on Oct. 21, 2013, USCIS stated that there are only “a small number” left at local field offices. You appear to have two such cases. USCIS Portland isn’t necessarily deciding I-130s faster than the Service Centers. You or your lawyer may want to contact USCIS Portland to check current local processing times. Thanks so much for the valuable information you provide. I stumbled upon this page and have learned so much in just the little time I’ve spent reading the comments. I have a question though. I’m a legal permanent resident married to a B1/B2 visa holder currently outside the USA. I plan on filing the I-130 soon but would like to know if this would affect her ability to visit me here in the US ? Thank you for your insightful blog postings. I am a US Citizen and have been living in Spain for almost 10 years. I´ve been married the same duration. Due to the harsh economic conditions in Spain, we have decided to return to the US. I began researching the “Green Card” process and spoke to my local Embassy office and called the USCIS. Seemed pretty straight forward. No one at any time gave me any indication of the wait times or financial support document requirements. A friend of mine told me about a couple she knows (US husband, Spanish wife) who have been waiting for over two years for the “immediately available” permanent residency status available under the law. I figured they must just have had bad luck, or have some personal issues that required extra documentation. But low and behold, that isn´t the case as everyone on this site knows. I am in shock and my husband and I are devastated at the prospect of him having to wait in Spain, while I and our 7 year old go alone to re-build our life in the States. I can´t imagine the US government keeping a family apart due to its own beaurocratic incompetence when those individuals have the legal right to be present, together, in the US. I encourage everyone in this situation or in support of this situation to call for CHANGE IMMEDIATELY. I will follow the advice posted on your blog and do the same. Thank you again for the insightful information that you provide the public. I am in the almost exact situation. I lived in Spain with my Spanish husband for the past 12 years. We have been married for 16. We decided to return to the US for the same reasons. We also called the Embassy, which told me to file for 1-130 and I-129F for the K-3 visa. According to them, we would get the K-3 in about 4 months. I moved to the US with our 8 year old in July after filing in June. We are still waiting for my husband to arrive from Spain. We certainly would have done things differently had we known of this horrible, long wait! I´m waiting for some translations to be done so that I can file the same documents. You have just confirmed what other couples have told me….that the K-3 process is just as slow and that my daughter and I are still going to be separated from my husband(her father) for probably 2 years. I am still in shock. I can´t fathom how that can be allowed. And even if we could afford him to come and visit as a tourist, lawyers tell me that could jeopardize our application, or he could simpy be refused entry. How can this be? What would you have done differently? I hope you and your child are doing well (considering the circumstances). Thanks for sharing your experience here! Hi, I will be going through the same thing. I want to return to the USA and my husband is wishing to obtain permanent residency there so that he can be with our child. How is it fair that if you do decide to go through the permanent residency it would jeopardise my husband’s application if he came and visited his son during the time it is being processed? Who made up these silly rules and how can you tell your child “No, you can’t see your dad for a year or more because the government is totally clueless on how to run their immigration process? Yet, there are that many illegal aliens working in the USA who are getting it easier than the people who are trying to do it the right way? I wish I was back in the 1800s before the government was around…it was a heck of alot easier and simpler than to go to a different country. I sympathize with your frustration about the long immigration process. Just to be clear, in light of that long process, the government would oppose an immigrant who wants to use a visitor’s (B1/B2) visa (or the visa waiver program) to jump the queue to permanently move to the U.S. However, it may well be possible to temporarily visit the U.S. during the interim. That requires proving nonimmigrant intent, as explained in this article: https://lawandborder.com/proving-nonimmigrant-intent/. Thanks for the good luck…sounds like we will need. I filed an I-130 for my parent in Nov 13. We are having a baby this spring, which will be before the application could be processed. My mom already has a 5-yr tourist visa. Could she be denied entry if she wants to come to the US while the I-130 is pending? The reason USCIS has such a large backlog is that on 10/1/13 they shifted to an internal model of focusing on quality rather than quantity with processing petitions/applications. Many of their employees are performing around 50% of their expected workload due to having no incentive or performance objectives based on production. This is happening at many of their service centers with a lot of petitions as well as their field offices with backlogs in interviews. This was the last move of their departing director and has had devastating effects on the agency. Do you have a link showing that? I’d like to see that info. I have just sent off my I-130 petition for my husband. I’m a US Citizen & we’ve been married 11 yrs and have 2 children who are US citizens (we registered the birth abroad). We live in Ireland. Unfortunately it looks like his current position at work may become redundant & we are now wanting to move to the US. He has a few relly good job leads stateside & I’m now worried he won’t be able to accept the positions due to wait times. Are there any other options we can try to expedite the process? At what stage can I apply for a K3 visa & would I have to pay that filing fee too? Another option I was curious about is possibly getting my parents company to sponsor him – would tat be a faster way to get a work permit while we wait for the I-130 to come thru? Just very worried as he is the bread winner & without an income – not sure what we will do. Any help/advice much appreciated. Ireland falls within the jurisdiction of the USCIS London office. Since you live in Ireland, there may be time advantages to filing another I-130 with USCIS London if you originally filed by mail to the U.S.
As to the K-3, follow the link in the above article to USCIS’ website, which explains you have the option of filing a K-3 petition as soon as you have the I-130 receipt notice and that there is no filing fee for a K-3 on behalf of a spouse. Finally, in my experience, only rarely does it make sense for a person married to a U.S. citizen to apply for a work visa. Talk with an attorney to evaluate that option. I filed a I 130 for my wife in june 2013 and its been 9 months now. How much more time it will take. Aslo can you please tell me how much time normally it take for getting I 130 approved for other people? We filed an I-130 in Sept 2013, and although I am patient, I now have a job starting in the US in July 2014. Our application has just been transferred to the Texas Service Centre from the NBC to “spread workload”. My question is, should I start getting onto my future employer to get a visa through them in time to start work, or hold out and hope I get my Green Card by July? I am leaning towards the former, as although wait times seem to be decreasing, and I should have a decision “within 60 days” don’t I then have to wait another 3+ months to go though the NVC and get an interview scheduled at my local embassy? This kind of strategy decision about how to proceed with your case will turn on the totality of the facts, your goals, and a cost-benefit analysis. You may want to seek legal advice to help you reach an informed decision you feel comfortable with. I filed an I-130 for my husband in January 2014 and then I requested to get this expedited. Since it was due to medical (postpardom after childbirth), I provided my doctor’s letter, my letter, and as well as my child’s birth certificate. USCIS has yet to provide a decision on my my expedite request. MS: USCIS doesn’t provide written decisions on expedite requests. They simply act on it or don’t. It’s likely your request was refused. You can confirm by contacting USCIS Customer Service. If your medical situation more severe, you can consider filing a new request. Hello Gary: I am a naturalized US citizen, and I filled and stand alone I-130 on October 2013 for my 7 year-old son, who is back in Dominican Republic. The case was first sent to Overland, KS; now they’ve sent me an email saying that the case has been transferred to the California Service Center. My question is, will my case take another 4 months just for initial review? The case processing time shouldn’t be impacted by the transfer. The processing times for the California Service Center, listed above, are based on the receipt date for the case. Your case should be adjudicated based on receipt date order, not based on the date it was transferred. Thanks for your quick response Gary. Hello Gary! I have a similar situation with what Benjamin Tejada descried. I am a naturalized US citizen and filled I-130 for my biological 16 years old son who currently lives in Tajikistan. I have been waiting for the I-130 approval since May 23, 2013 (it was transferred to Texas in December 2013). Is there any other way I could bring my son to US? In terms of the immigration options for the child (unmarried and under age 21) of a U.S. citizen, apart from the four “Strategies for Dealing with Delays” listed above, I’d just mention that you should check to see if your child acquired U.S. citizenship at the time of birth abroad. Here’s the test for a child born abroad to one U.S. citizen parent and one alien parent in wedlock: the child acquires U.S. citizenship at birth under section 301(g) of the Immigration and Nationality Act, provided the citizen parent was physically present in the U.S. prior to the child’s birth for a period of 5 years (in any immigration status, but 2 years must have been after the parent was over age 14), in the case of a child born on or after Nov. 14, 1986. The requirements for acquiring citizenship at birth are different if the child was born out of wedlock. For more details, see Quick Reference to Citizenship. I need guidance as to what step I should take to get the I-130 I filed for my mother going. I filed in 2012 and up to this day, I keep calling for a case status and keep receiving a letter stating that they unfortunately cannot give me an update and this is after I filed for an appeal and paid the appeal fee. It’s way past the processing time, almost 3 years and I do not have the money to refiled as some people are suggesting because I am not rich and the only bread winning that has to feed my family back home. Do you have a suggestion on how I can get my case to move forward other than calling them for an update? You’re asking about a different processing time issue: processing time for appeals of I-130 denials. I suggest you seek legal assistance for dealing with your case. If you are low-income, you may qualify for a waiver of the fee to file a new I-130. Details on fee waivers are here: http://www.uscis.gov/feewaiver. You may also qualify for free or low-cost legal services to help you evaluate your options and decide on a strategy. To find a provider, start by contacting your county bar association or checking this “Free Legal Services Providers List” from the U.S. Department of Justice. (Note that this list is for providers of legal assistance in Immigration Court, but they may also be able to assist with your case or refer you to an appropriate provider). I just received two notices in the mail yesterday stating that both my I-130 and I-129F petitions have been transferred to the Nebraska Service Center to “speed up processing time”. My wife is in Germany right now. I am in the Air Force stationed in DC. My question is: if the processing time for the I-129F is 5 months nationally, and it was accepted by USCIS on December 9th, do we effectively start OVER? When it says processing time is 5 months and they transfer it, do we get moved back to the bottom of the pile? Additionally, do you know of any special ways to get this I-130 processed faster because of my military status (other than impending deployment)? The case processing time shouldn’t be impacted by the transfer. As I mentioned to Benjamin, USCIS processing times, listed above, are based on the receipt date for the case. Your case should be adjudicated based on receipt date order, not based on the date it was transferred. An I-130 by a petitioner in the military can be expedited where appropriate. USCIS reviews all expedite requests on a case-by-case basis. Some examples of situations that may qualify for expedited processing include pending military deployments or emergency or humanitarian situations. http://www.uscis.gov/archive/archive-news/questions-and-answers-members-military. Finally, you should be familiar with the USCIS Military Help Line, where you or your attorney can make case inquiries: http://www.uscis.gov/military/military-help-line. My (German) husband and I have lived in the UK for the last 3 years, both doing PhDs at the University of Oxford. We’re moving temporarily to Germany in September this year, with a plan to relocate to the US around April 2015 (7-8 months later). To further complicate matters, we’re spending the month of August in the US to visit my family. I’m afraid we cannot start the filing process at the London consulate now because 1) we’re traveling to the US in August, and I understand my husband cannot travel to the US with pending immigration status; 2) we’ll be living in Germany from September onwards, with no plans to return to the UK. Further, we’re afraid we cannot apply in Frankfurt because we have to wait until I am a resident of Germany for six months before being eligible to apply, and we plan to stay for only 7-8 months. It’s so complex! To get around these obstacles, we think the best option is to apply directly to the Chicago Lockbox with our German address, mailing in the I-130 when we move to Germany on 1 September. Do you think this is the most advisable path forward? I’m having a hard time understanding the actual steps to processing the Green Card from overseas with Chicago, and afraid our application will be lost in the shuffle, whereas we would have more control at a foreign consulate. But I’m afraid we have no other option. Any advice is welcome! Thank you so much in advance. Yet another option would be to file the I-130 in UK, requesting that the case be forwarded to the U.S. Consulate in Germany for the immigrant visa application. Such strategy decisions turn on too many facts for me to answer in the format of a blog. Thanks so much for your quick reply, Gary. It is so appreciated. I didn’t even know that was an option, but it may save us the 9 month waiting time for an I-130 processed in the US. Thanks again! Just got the notice to file affidavit of support a couple of days ago. I know it is frustrating having to wait but it looks like things are moving again. Will keep the folks here updated on the progress with consular processing. I would like to ask what does 5 months processing time means for Nebraska? I’m a US citizen and filed an I-130 for my husband. His priority date is April 29, 2013. Until now we haven’t heard anything from the USCIS since they’ve notifiéd us that it was transferred to Nebraska Service Center. Nannett: NSC’s 5-month posted processing time meets that it’s taking on average 5 months from the filing date to complete the initial review of the petition (i.e., issue approval, denial, request for evidence, or notice of intent to deny). So if you’ve received none of these notices, since your case has been pending for 11 months, it’s time to contact USCIS National Customer Service Center to request that the file be reviewed since it’s outside normal processing times. By comparison, yesterday I saw an I-130 for an immediate relative received at NSC on Jan. 28, 2014, where the initial review was completed by Mar. 24. Two months is very quick. When you say initial review, that means a decision is made to approve, deny, etc.? Gary: The I-130 received date for my mom (in China) was 12Nov13 at the Nebraska Service Center. The case is still in initial review status right now. She wants to attend my son’s wedding in US in September 2014. It looks like the time is tight for her to get her immigrant visa. Can she apply for B2 visa (she had B2 visa 3 times in post 15 years)? Thanks in advance. She can consider applying for a B2 visa, but she’ll need to contend with the issue of Proving Nonimmigrant Intent. Just update: my mom’s B-2 visa application was rejected today. Hopefully her I-130 gets approval soon. Sorry to hear that. If there’s still time before the wedding, you may want to consult with an attorney about it’s feasible to reapplyg for the B visa. I just read your article about USCIS processing times and it brought me some comfort to know that I’m not the only one in this crazy situation. I’ve been waiting 9 months. My petition was approved, then the decision reversed because of a missing G-325 form. Now I’m coming up on 60 days since I responded with a new G325 and I’ve heard nothing. And I still have NVC and interviews to go through after this. I’ve called senators, hired a lawyer, and spent over 5k flying to and from Korea. When I first applied last May I made a lot of calls to the USCIS. I wish I had the conversation on record. One of their reps told me I could enter the US with my wife on visa waiver (she is Korean) and apply for adjustment of to upgrade our status when we got here. My mother passed away and we had to fly home from Korea sooner than expected for the funeral. Sure enough Boston CBP agents thought I was full of it, and they put us right back on a plane to Korea. I had to fly back the next day alone for the funeral. The worst part is my wife was pregnant. I spent the next 6 months caring for my father and meeting my pregnant wife daily on Skype. I also had to tell everyone I met about the embarassing and difficult situation I was in. I’m back in Korea now. My son was born last week. Everyone tells me I should keep waiting, but I can’t believe this is the process a citizen has to go through to get home. Is there anything I can do? Kevin: Sounds like dealing with USCIS has been a bumpy ride. But you’re near the end. You should expect to receive a decision on your I-130 within 60 days of submitting your response to the request for evidence. If you don’t, follow up with USCIS Customer Service. I’m alarmed at all I have read here! And yet relieved its not just me! My husband filed an I-130 for me in September 2013 from here in Ireland to the Chicago lockbox address. Later, I got a message saying they tried to send me a request for further information and it had been returned as undeliverable because they don’t send mail abroad. So I gave a relative’s address in Brooklyn. USCIS now says they’ve sent another request for further information on March 11, but I haven’t yet received it. Do I need to make another long transatlantic call to USCIS National Customer Service Center? Frustrated1: USCIS service centers will, in fact, send mail abroad, but becuase there is a time limit to respond to a request for evidence, file an appeal, etc., I personally always use a U.S. domestic address. And yes, you should contact USCIS National Customer Service Center about your lost request for evidence. I am actually on hold with USCIS as I am typing this comment. The representative I just spoke with told me the waiting/processing times for my husbands I-130 and I-129F applications “starts over again when it is transferred”. This contradicts what you said in a separate comment above. What’s the real story? Sarah: According to USCIS policies, transferring a case shouldn’t reset the processing time clock. Instead, it should be placed in the cue at the new USCIS office based on the original filing date. See here: http://www.uscis.gov/news/alerts/workload-transfer-national-benefits-center-service-centers. My U.S. citizen husband filed for an I-130 petition for me on July 18, 2013. On January 29 2014 we received a notice that the case has been transferred to the Texas Service Center. It’s April 2014 now, and we haven’t heard anything back from the USCIS. Can you tell me what this means and how much longer do I have to wait? Any help is much appreciated. Your case is slightly outside the USCIS’ posted processing time for the USCIS Texas Service Center, which as shown above is August 21, 2013. Your husband or his attorney can file an inquiry with the USCIS National Customer Service Center, which should trigger a follow-up request (called a Service Request Management Tool ticket) by the Center to the responsible USCIS office because “the application has been identified as pending longer than the currently posted processing time for the benefit type being sought.” USCIS’ goal is to respond to such follow-up requests within 15 days. My husband filed an I130 while I was in Australia, they sent it back because they wouldn’t accept a visa payment. He has been told it will be pushed through once the check arrived, which he sent today. I was a permanent resident between 2003 and 2006, but Hurricane Katrina took everything so we went to Australia. I have SN with authorised to work with INS approval, and an Illinois licence. Our i130 is handled via Chicago, do they also have backlogs? I am now in the USA on a B2 visa for 3 months and want to work, so I am hoping for a fast turn around! Jackie: More facts are required. If there’s strong evidence that you didn’t intend to adjust to LPR status at the time you entered the U.S. as a B-2 visitor (i.e., it’s clear there was no misrepresentation or preconceived intent to adjust status), then it may be worth considering filing a Form I-485, Application to Adjust Status. Schedule an appointment with our law firm or another good immigration lawyer. How is it determined that which service centre will my petition go to? I’m a U.S. citizen living in Kansas filing an I-130. As mentioned above, effective Jan. 1, 2012, to further centralize I-130 processing, domestic petitioners must now mail stand-alone I-130s to either the Chicago Lockbox or the Phoenix Lockbox, depending on their residence in the U.S. From there, the I-130s were distributed among USCIS regional service centers. Petitioners don’t get to choose which USCIS service center will adjudicate their case. I filed an I-130 for my step son April 2014 and I am a US Citizen. I want to expedite the process because the grandmother that is taking care of the children in Belize is threatening to take them to a foster home. This has just come to light after the application was filed. Now I’m afraid that if she do that we wont be able to find the children after the processing times. Can this qualify for extreme urgent situation, for the purpose of expediting the case. Perhaps. This would turn on the persuasiveness of the evidence you submit and the subjective view of the USCIS officer considering your request. Consider hiring an immigration attorney. Thank you for your previous response. Right after I messaged you, I got my approval 🙂 my case was shipped to NVC for visa processing on April 25th 2014. How much time do you suggest NVC is taking to process approved I-130 petitions for spouses of US citizens? Glad to hear about the approval. See the above article for estimated NVC and consular processing times. I am active duty military and in march i filed the 1-130 to bring my wife to the states. I was informed that my case has been transferred to the texas center and now is awaiting approval. Is there an estimated time that i should look forward to? Can it be expedited because im active duty or does that really not make a difference? 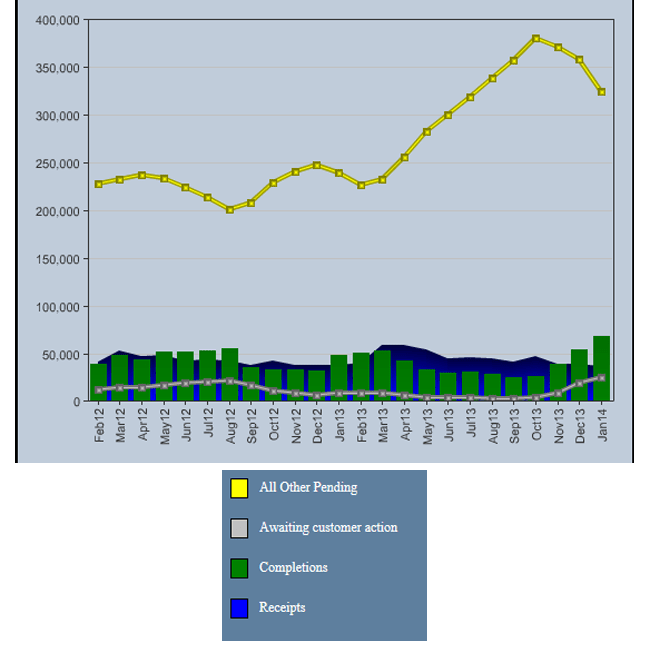 Current average processing times for stand-alone I-130s at the regional service centers are now 5-6 months, according to USCIS. As to military-related issues, see my above advice to Roy and Dan. I just wanted to update all the other family members who have been anxiously reading every bit of information possible. I petitioned for my husband’s I-130 with a receipt date of October 7, 2013. Today, May 6, 2014, it was approved. I also applied for an I-129F for my husband, with a receipt date of November 27 or 29; it was also approved on May 6, 2014. We are not sure which one he will end up with, but we are VERY happy to finally start the NVC process. As we understand it, the NVC process could easily be another 3-4 months. Good luck everyone! Sarah, thanks for the update. I am a US citizen by birth and my wife is an Indian citizen who has never left India. I am here in the US and she is in India. I filed for her an I-130 (for her to get a CR-1 visa) on 12 Nov. 2013. My petition is at the Vermont Service Center and according to the website the VSC is taking care of I-130’s in 5 months. Since I filed on 12 Nov. 2013 it’s now been more than 6 months, but the VSC processing times are 5 months according to USCIS. Everytime I call to put in a service request they tell me the website it wrong and I might need to wait 3 more months! This is outrageous! Is there anything that I can do? I am currently a permanent resident and sent I-130 form for my wife under F2-A category in January. Currently she has a priority date of January 3rd 2014. Since then there has been no update on the case. I am getting naturalized in a month. When I become a citizen and ask USCIS to upgrade the existing petition do we lose the priority date? Is it better to no upgrade at that point? I am worried that upgrade will simply reset the clock and we get to wait another 5 months for I-130 approval under citizen’s immediate relative this time. Or will the upgrade simply make it go very fast? Sending USCIS a copy of your new naturalizaiton certificate to match up with the pending I-130 filed on behalf of your wife will NOT reset the clock for purposes of the I-130 processing time. Your reference to this as an “upgrade” is appropriate becuase as the immediate relative of a U.S. citizen your wife won’t need to wait for the F2A priority date to become current. Instead, the NVC and Consulate can process the case without delay. I am Iraqi working in UNDP-Iraq. my husband is US citizen and he filed for I-130 since 6th january 2014. We checked my status and it is still under initial review. my question is living with me in Iraq and he is waiting for the decision before leaving to the US again. he just changed his address so that whatever we receive will go to his brother and he can inform us. We have two questions: is changing the address and not the status will effect the time process? also when do you think we can get the decision? The petitioner’s filing of a change of address shouldn’t impact the processing time (except in a rare case where the USCIS wants to interview the petitioner at a local USCIS office). Processing time will depend on which office you’ve filed with. See the above table. I work for the United Nations in Iraq. My U.S. citizen husband filed an I-130 for me 5 months ago, and it’s pending at the Nebraska Service Center. The environment is very unsecure. I face danger daily. How should I ensure swift approval of the I-130? Definitely check the status of your I-130 online and call the USCIS National Customer Service Center. If there is an individual, particular threat to your safety, consider requesting expedited processing of your I-130, as described above, and/or having your husband enlist the assistance of a congressional representative. And consider applying for a separate nonimmigrant visa, if you are eligible. Stay safe. Thank you Gary for sharing this super helpful article. I am a US citizen and my husband is Welsh. Our receipt date for the I-130 is January 27, 2014 (Vermont service center). I see according to your chart this is normal, seeing it has not been five months yet. I was just feeling afraid that I had failed the application process in some way because we have done everything thus far without an attorney. I appreciate your effort and this forum! My I-130 receipt date is January 27, 2014 too! I am from Brazil, and my husband is American. I check my status every day, so far still “initial review” but like you said no 5 months yet. 🙂 Good luck to you guys! I am currently living in Scotland and have applied for a K-1 visa to go live with my fiance in Albuquerque. Our application was sent to the service center in Texas and should have arrived there late December/early January. We haven’t had any response yet. Is it too early to make an inquiry/status request? Your U.S. citizen fiance should have received a USCIS receipt notice. You can use that notice to see if your case is outside processing regular processing times and to check the status of your case. Bonus trivia question: U.S. states each have official trees, flowers, etc. Do you know the official state “question” for New Mexico? Thanks Gary, I’ll have her check the date on the receipt. So if it has been longer than 5 months since that date we will inquire wiht USCIS on the case status. Haha, chuckled at the bonus question. “Red or green?” Though my personal preference is Christmas, gotta love that chili. My U.S. citizen husband filed an I-130 for me on April 26, and it was approved on May 16. 🙂 USCIS has sent an approval notice to my husband. When will I receive further instructions? Assuming the I-130 was not adjudicated by a USCIS international office and did state that you intend to apply for an immigrant visa abroad, then as mentioned in the above article the next step is processing by the National Visa Center (NVC). You should receive instructions from the NVC within about a month of the USCIS approval. To check current processing times for 129F petitions, I go to the online status check and enter USCIS receipt sequentially until arriving at applications that have been approved. Hi Gary, I am an American citizen. I submitted an I-130 for my spouse back in June 2013 (year ago). First in February my case was transferred to Texas Service Center, and now it in May it was transferred to the Miami local office. I called, I sent an email, and i sent a letter to the Miami office but have received no update. Please advise. Two easy steps may be to call the USCIS National Customer Service Center and to make an Infopass appointment at the Miami office. You may also want to hire an attorney who can discuss other options with you. I have a question. I am a US citizen and filed an i-130 for my husband who resides in mexico. He has never lived or been in the US; we met in mexico. We got married in mexico November 2013 and i filed an i-130 for immediate relative on March 2014, and uscis confirmed receiving my paperwork april 1, 2014. I live in the US. My last trip to go visit him was febuary 2014. Now i am 5 months pregnant and I would love to have my husband here for the birth. It is hard being apart and i really want him to be there for our baby’s birth. My question is, is there a permission that could be granted to him to come to the US to see the birth of our child? And what if my petition is still pending? I would greatly appreciate your insight on my issue. We have grown very sad that we are apart, we want to be together for that special moment. Your husband may qualify for a B1/B2 visa to visit the U.S. for the birth, but beware the risk of denial for failure to prove nonimmigrant intent. My husband is a US citizen, and I live in South Africa. He has been in the US since 26 March, and because of delays in my country in obtaining our unabridged marriage certificate, we have only been able to finally file our I-130 today. While I was thrilled that we have finally been able to get the ball officially rolling, stumbling across this thread has made the bubbles fizzle out of the bottle of champagne I am drinking (sharing via Skype) with my Love. Has anything changed? Can you or any of your other forum members fill me in on the current waiting times? What are we in for here? These past three months have been a nightmare without him, and the thought of having to wait another five months for the I-130, plus another 2-3 for the NVC and another 2-3 for the visa in my country = 11 months, is more than I can bear. Please tell me there’s a light at the end of this tunnel! My husband, who is a US Citizen filed my I-130 at the Manila Field Office in July 2014. We are both currently residing in Manila, but he has since lost his job, and needs to return to the US. I will have to go back to China, as I am a Chinese national. My question is how long will it take for my I-130 petition to be approved, and once approved, do I need to come back to Manila for processing of the immigrant visa application? It would involve time and travel costs, and I am wondering if the application can be done in Guangzhou instead? I will be residing in Guangzhou from next month onwards, whilst waiting for my I-130 to be approved. How long will the whole process take? Will it cause a delay if my case is transferred to Guangzhou, or is it better that I stick to Manila for the immigrant visa application? I need to apply for a visa to enter Manila each time. If my immigrant visa application is made in Guangzhou, will it be faster than if it were processed in Manila? I am worried about how long it will take my husband to find a job in the US, and whether his unemployed status will effect my I-130 application? He signed the Affidavit of Support for my application. It’s possible to file an I-130 with an overseas USCIS office in one country (e.g., Philippines) that requests immigrant visa processing at a U.S. consulate in a different country (e.g., China). In terms of deciding the pros and cons of where to do the immigrant visa processing (time, cost, odds of approval, difficulty gathering the required documents, etc. ), this is a fact-specific issue to discuss with your lawyer. Why not schedule a consultation with our firm? I am U.S citizen and have filed the i-130 in April 2014 and the I-129F couple months later. I have received receipts for both and now in the long waiting process. My wife is a dentist in India and she has to appear for the National Board Dental Exam by 2015 which is ONLY offered in US. If her case doesn’t get approved on time and if she doesn’t make it to US by Jan 2015, she will not be able to take the exam and will waste 2 years of her career. She will not be able to start Dental school till 2017. Are their any options for us? Can she file for any visa for a month to take the exam and then head back to India till her case is approved? I would hate to see her waste two years of her life just because she couldn’t take the exam on time. Please help. Talk to our firm or another immigration lawyer about your options, which may include applying for a B (visitor’s) visa to enter the U.S. for purposes of taking the professional exam. The key issue will be proving nonimmigrant intent. For more details, see Proving Nonimmigrant Intent for a U.S. Visa. I am US citizen. I have filed an I-130 for my husband on July, 28 2014. Since my 8-month-old son is sick and his condition is critical, plus I’m 14 weeks pregnant and all alone here, I requested that the I-130 be expedited as a medical emergency on September 8. On september 13 I got an email from USCIS, and they asked me to submit supporting documents. I sent them all the doctor’s letters and one personal letter on September 15. I haven’t heard any response yet. When should I expect that? And if the I-130 is expedited, how long will it take for him to come here? I recommend you hire a competent immigration lawyer (or, if you lack the funds, seek free or low-cost legal services–see this list: http://www.immigrationadvocates.org/nonprofit/legaldirectory/). If USCIS approves your expedite request, you should receive the decision on your I-130 quickly. If the expedite request is denied, USCIS won’t send you a notice; instead the I-130 will be adjudicated per routine processing times. But just because USCIS expedites the I-130 doesn’t mean that the National Visa Center and the relevant U.S. Consulate abroad will also expedite the case. Separate requests need to be made. An attorney can help with such requests, as well as making sure that your supporting evidence is complete in order to avoid delays in the process. I am a US citizen and filed I-130s for my parents. I received notice on January 21, 2014 that USCIS accepted te cases and they are under initial review at the Nebraska Service Center. The posted processing time is 5 months, but we’ve waited 8 months. I called a week ago or so and they sent me a very generic answer without any details. I’m a U.S. citizen who filed an I-130 for my husband in Nov 2013. We were both living and working in Australia at the time of our courtship and eventual marriage. I moved back to the US in January of 2014 as I knew I had to be earning US income in order to pass the affidavit of support process. Our petition was approved in June and our case was forwarded to the NVC and it’s become a complete standstill. We’be paid all the necessary fees and have submitted all of the required documents only to be told they are having delays in reviewing such information. Can I contact my local senators for some sort of expedition? We went 9 months without seeing each other until his recent visit. My fear is that this process could take many more months and we’re desperate to start a family seeing how we’re both in our late thirties. Any advice you can give would be most helpful. Current NVC delays could be the topic of a separate article. It seems to me that as soon as USCIS started speeding up processing of I-130s the NVC began experiencing backlogs. I hear that it’s currently taking 60 days for NVC to review case documents (applicant documents and support documents).